Bhubaneswar: Amish Tripathi, Nirupama Rao and Padmaj Pal to be conferred with Prestigious Kalinga Literary Awards of 2018. This was informed by the Kalinga Literary Festival, Director, Mr. Rashmi Ranjan Parida. For the last four years Kalinga Literary Festival has set a national benchmark in literary festivals. The Fifth Kalinga Literary Festival is here. More than 250 celebrities from the worlds of literature, cinema, media and politics will assemble in the temple city of Odisha to deliberate on the theme of ‘Towards a Just Society: Equality, Equity and Humanity in Literature”, at the Kalinga Literature Festival in Bhubaneswar, from 8th to 10th of June 2018. Kalinga Literary Festival (KLF) has emerged as one of the leading literary platforms in India and number one in the Eastern part of India, attracting both experienced and young litterateurs. Bigger than ever before, the fifth edition of the festival will bring nationally and internationally acclaimed names on one platform to discuss, debate and explore commonalities in the diverse voices in literature, justice, equality, equity and humanity. Described as ‘India’s first literary popstar’ by world-renowned film director Shekhar Kapur, Amish’s unique combination of crackling story-telling, religious symbolism and profound philosophies has turned him into an Indian publishing phenomenon, with spiritual guru Deepak Chopra hailing Amish’s books as ‘archetypal and stirring’. Amish’s 6 books till now — The Immortals of Meluha (2010), The Secret of the Nagas (2011) and The Oath of the Vayuputras (2013), which collectively comprise the Shiva Trilogy, and Ram – Scion of Ikshvaku (Book 1 of the Ram Chandra Series) (2015), Sita – Warrior of Mithila (Book 2 of the Ram Chandra Series) (2017), and Immortal India – Young Country, Timeless Civilisation (Amish’s first non-fiction book) (2017) — have 4 million copies in print with Gross retail sales of Rs. 120 crores. His books have been translated into 19 Indian and International languages. The Kalinga International Literary Award is conferred upon someone who has made a global impact through his/her work and writing. This award is specifically given to someone who has worked in a language other than Odia. 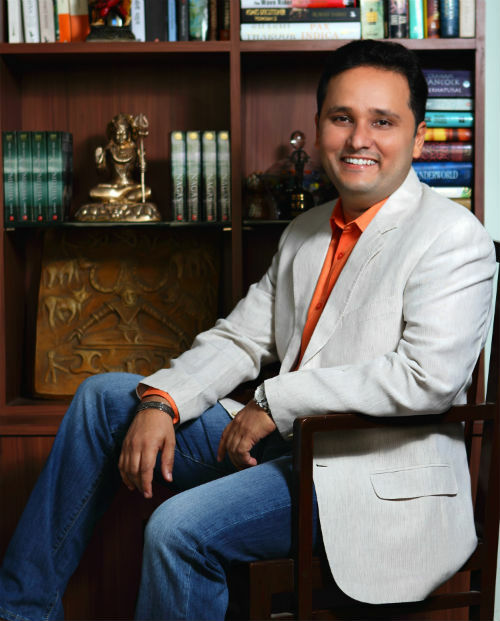 Amish Tripathi through his writings has inspired story writing and screenplay in India and abroad. The award recognized his unique and exceptional contribution promote to Indian literary on the global stage. Ambassador Nirupama Menon Rao (IFS retd) is the second female foreign secretary of India. She was educated in India and joined the Indian Foreign Service in 1973. During her four-decade-long diplomatic career she held several important assignments. 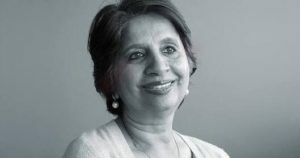 She was India’s first woman spokesperson in the Ministry of External Affairs, New Delhi, the first woman high commissioner from her country to Sri Lanka, and the first Indian woman ambassador to the People’s Republic of China. She served as India’s Foreign Secretary from 2009-2011. 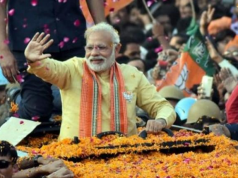 At the end of that term, she was appointed India’s Ambassador to the United States where she served for a term of two years from 2011-2013. Kalinga Karubaki Award is named after the brave princess of Kalinga, Karubaki. She has been known as the most powerful woman of the then Kalinga and made her name into the Ashokan edicts as the most benevolent and philanthropic woman of her times. Kalinga Karubaki Award is for an exceptional woman leader who has demonstrated exceptional courage in personal and professional life and at the same time has contributed to the world of literature. This award recognizes Amb Nirupama Rao’s exceptional contribution to foreign policy and her work to reach to the highest level of professional excellence, thereby leaving a legacy and inspiring generations of women in her own area. 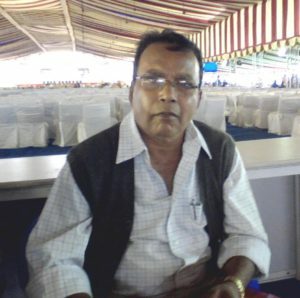 Leading story writer of his generation, Dr. Padmaj Pal is a story writer, novelist and a philosopher. 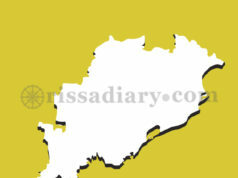 He is a household name in contemporary Odia Literature. Among his writings Jibu Ki Thibu (ଯିବୁ କି ଥିବୁ), Papa Pari Nijara (ପାପ ପରି ନିଜର), Hi Muni Kemiti Achha (ହାଇ ମୁନି କେମିତି ଅଛ), Sabuthu Sundartama Pakhi (ସବୁଠୁ ସୁନ୍ଦରତମ ପକ୍ଷୀ), Apekhya Kara Mu Asuchhi (ଅପେକ୍ଷା କର ମୁଁ ଆସୁଛି), Chitra Chudanga (ଚିତ୍ର ଚୁଡ଼ଙ୍ଗ) and Jibanamaya (ଜୀବନମୟ) etc are well known creations of Dr. Pal. This Kalinga Literary Award recognizes his life time contribution to Odia literature and especially in creating a genre of his own. His influence has impacted at least two generations of writers in Odia. His immortal story collections and novels have stirred human imagination and consciousness. 30 Kalinga Literary Youth Awardees have been chosen for their excellent work at the district and regional levels. In its second year, these youth awards have created a movement in Odisha to recognize brilliant work at the grassroots level and encourage the next generation to engage in literary pursuits. 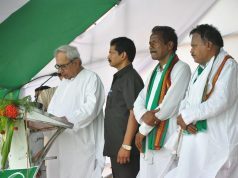 Akshaya Swain, Alok Kumar Baral, Amarendra Madhab Dash, Amaresh Biswal, Anita Sahu, Arya Kumar Harshabardhan, Bichitra Biswal, Bijayalaxmi Parida, Chittaranjan Nayak, Jayanta Kumar Sahu, Jnanee Debasish Mishra, Khetrabasi Nayak, Khirod Bihari Biswal, Laxman Kumar, Lipsa Patel, Mahasweta Sahoo, Manash Padhiary, Manoj Kishore Nayak, Matrudatta Mohanty, Narendra Kumar Bhoi, Nibedita Jena, Niranjan Nayak, Parambrahma Tripathy, Prabhat Kumar Mishra, Ramakanta Samantaray, Ranjan Kumar Pradhan, Subrat Jena, Sudambandhu Bhattamisra.